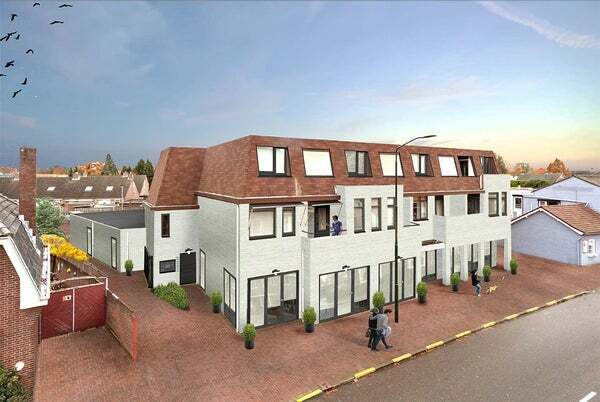 Dutchloft The Market is currently developing 18 high quality, brandnew studiolofts in a former supermarket located at Nieuwstraat 49 in Budel. The property is completely being transformed into a contemporary, accessible residential complex with a safe and familiar character. This will be achieved with the presence of a concierge, lockable parking area, good lighting both inside and outside and green facilities next to the parking lot. The lofts will be available starting from the 1st of November. We will offer different types of lofts within different price ranges (semi-furnished between about € 550 and € 650, - per month). Viewing days will be organized soon! Please send an email to info@huurinc.nl if you are interested and leave your name, current address, telephonenumber and some backgroundinformation (number of people within the household, information about work and income etc) behind.We will get back to you as soon as the viewing days will be organized. Note: we expect a lot of signups, so be quick!